Price of Lenovo Ideapad 330S (Core i5 - 8th Gen / 8 GB RAM / 1 TB HDD / 35.56 cm (14 Inch) FHD / Windows 10 / MS Office 2016 H&S) 81F400MKIN Thin and Light Laptop (Platinum Grey , 1.67 kg) in the above table is in Indian Rupee. The Lenovo Ideapad 330S (Core i5 - 8th Gen / 8 GB RAM / 1 TB HDD / 35.56 cm (14 Inch) FHD / Windows 10 / MS Office 2016 H&S) 81F400MKIN Thin and Light Laptop (Platinum Grey , 1.67 kg) is available in Paytm. Lenovo Ideapad 330S (Core i5 - 8th Gen / 8 GB RAM / 1 TB HDD / 35.56 cm (14 Inch) FHD / Windows 10 / MS Office 2016 H&S) 81F400MKIN Thin and Light Laptop (Platinum Grey , 1.67 kg) prices varies regularly. 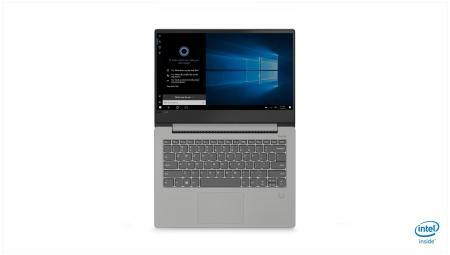 Please keep on checking our site to find out the latest prices of Lenovo Ideapad 330S (Core i5 - 8th Gen / 8 GB RAM / 1 TB HDD / 35.56 cm (14 Inch) FHD / Windows 10 / MS Office 2016 H&S) 81F400MKIN Thin and Light Laptop (Platinum Grey , 1.67 kg). What Is Price Of Laptop?